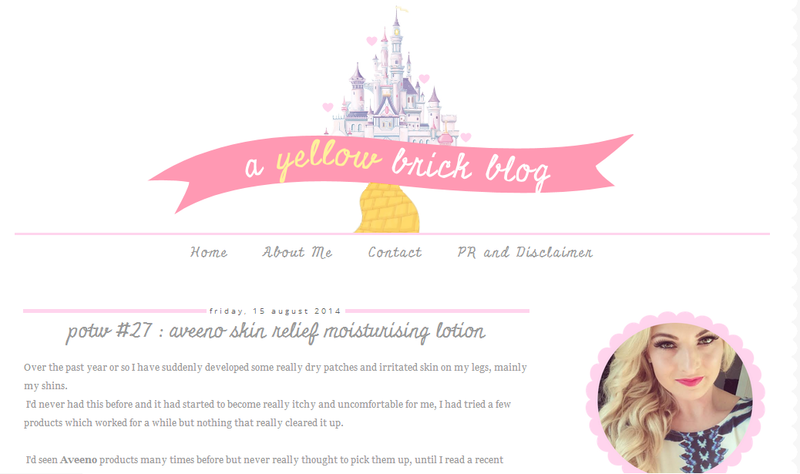 Hello lovelies, look at the adorable layout of Kirsties blog in true Disney princess style. I have loved Kirstie's blog for ages and watched her grew successful so quickly she is even doing Youtube videos now which are also fab. Kirsties blog is fab as it has a bit of everything going on and great if you love Disney too, I loved it when she was doing the Disney princess inspiration dress styling posts where you could be made to look like your favorite one. At the minute out of her most recent posts I have been loving her ebay wishlist, I would definitely have one of each of everything on there and her disappointing product review, I love when bloggers post about disappointing products as well as products we love so we can look out for them, it's good to be honest also. Kirstie puts a lot of effort into her stunning OOTD posts as well as her beauty and lifestyle ones and great detail in her reviews. She has a product of the week every week so look out for that one, this week it is a moisturising lotion from Aveeno, will come in handy coming up to the colder months girls and boys. 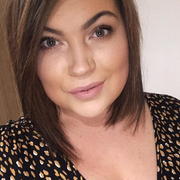 Kirstie seems like a beautiful person inside and out chatting to her from time to time on Twitter and always seems pretty happy go lucky, go check out her blog and tell me what you think also on twitter all her info is below. Connect with Kirstie - Bloglovin, Twitter & Instagram.